400 ml cold Rooibos Tea or tea of choice, not herbal. 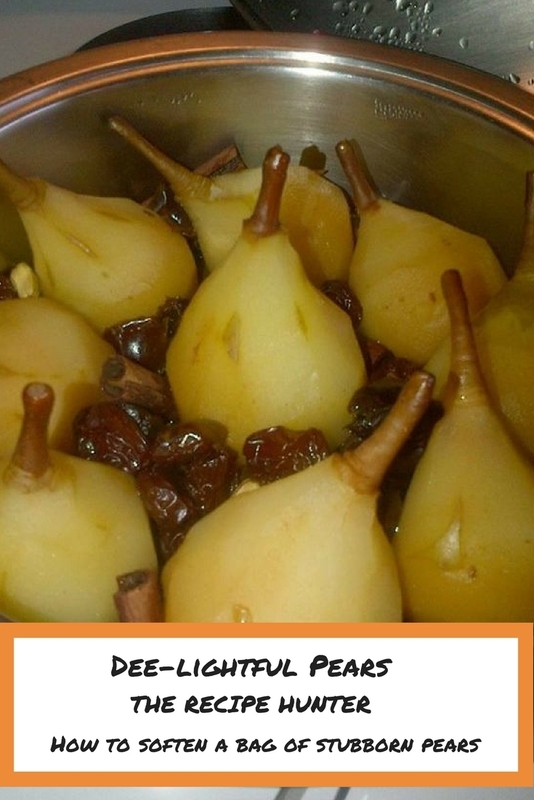 Arrange in a saucepan large enough to accommodate pears upright. Arrange the raisins, dates, and spices between the fruit. Heat slowly until liquid boils. Turn off heat and cover pot with a thick towel to prevent heat loss; the pears will continue to cook. Ready when a toothpick can pierce with some effort. Serve as it is with the cooking liquid or cream.